YouTube stars are often described as self-made celebrities with bright ideas and irresistible content. They are considered brave pioneers whose outstanding creativity propelled them to success on this unconventional media platform. YouTube creators are now role models for youngsters. Increasing numbers of elementary school students dream of becoming YouTubers. Videography classes and workshops are extremely popular. What do you need to become a YouTuber? In theory, you just need a video camera, a laptop computer and plenty of creativity. But to be successful in the long term, you may need more. Even though many YouTube channels are one-person operations, big-name channels often have strong teams behind them. Haneul, for instance, is a popular vlogger with more than 500,000 followers. Apart from being a YouTuber, she runs an online shopping mall for an underwear brand, serving both as its CEO and as one of its models. In a Q&A video she uploaded recently, the CEO-YouTuber revealed that she never edited her videos. “I don’t know how to edit. I have never edited videos,” Haneul said in the clip. She explained that her YouTube crew consisted of a video editor, a camera operator and two freelancers. Banzz, a top-rated YouTuber with roughly 2.8 million subscribers, started out as an independent content creator when he launched his “meokbang” (eating show) in 2013. He did all the work by himself. But as the number of his fans surged and his channel turned into a profitable business, Banzz found it more and more difficult to handle everything by himself. He hired other people to edit his videos and translate the captions. He now has five people on his crew. Banzz and Haneul also get help from a networking agency to run their channels. Both have signed on with DIA TV, a division of entertainment heavyweight CJ ENM that specializes in helping content creators. 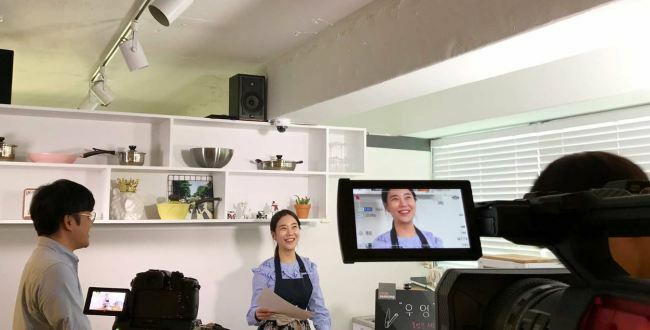 “We connect creators with advertisements or the press, linking them to more opportunities,” said Kim You-mi of DIA TV’s communications team. The agency also offers incentives for vloggers who produce high-quality content. For beauty YouTubers, there’s a reward system: The more hits vloggers record, the more DIA TV points they get and can later redeem for beauty products from the Reward Zone. 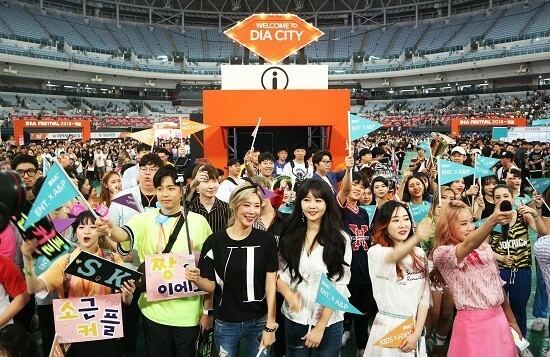 DIA TV also gives YouTubers greater visibility by hosting festivals where viewers can meet their favorite creators. Last month the agency hosted DIA Festival 2018, setting up booths and running events where YouTubers could communicate with their subscribers in person. But not all YouTube wannabes can afford a professional crew and a recognized agency when they’re starting out. For many new content creators, a multichannel network company such as Media Jamong might be a better starting point. 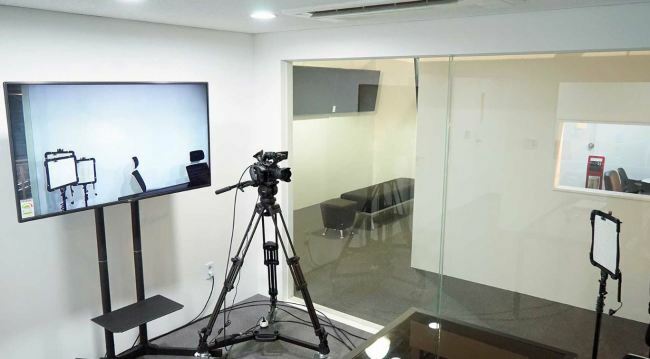 Media Jamong runs five media centers across Seoul, renting out studio space and video equipment to individuals and businesses. For those who have the ideas but are not accustomed to the platform, the company can produce videos for them for a fee. Media Jamong also runs a free consulting service, providing tips on how to operate a YouTube channel, and offers classes and lectures for the general public.